WikiCommons under a CC License. Unlike digital cameras, which record images in a single file format (the JPEG), digital camcorders record video in a number of different file formats. Understanding these various formats is important because they impact how easy the video is to work with on a computer, how large the files will be and the quality of the video they record. There are numerous video file formats and even camcorders that use the same one may not implement it the same way. For the most part, you'd only have to worry about your camcorder file format if you wanted to perform editing on your video or burn a DVD. Fortunately, the software that is packaged with your camcorder is designed to read and do some very basic functions with your video. However, if you want to perform more sophisticated edits, file compatibility becomes an issue. If your computer can't display your camcorder video, chances are the video is in a file format your software cannot read. The DV format was designed to store digital video onto magnetic tape. 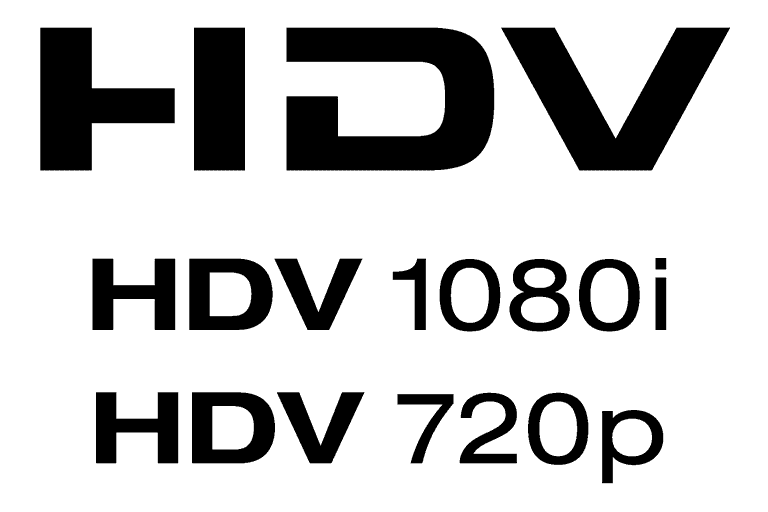 HDV refers to the high definition version of the DV format. DV and HDV files are very memory intensive but produce very high-quality video. Given the drop in tape-based camcorder sales, fewer consumers need to worry about DV and HDV, but it does remain popular among enthusiasts. Many standard definition camcorders record in MPEG-2. It's also used in high definition camcorders, although not as often. It's a very high-quality digital format, the same used in the DVD movies produced by Hollywood studios. That gives MPEG-2 based camcorders a nice advantage over other formats: the video is easily burned to a DVD and most computer media players (like Apple QuickTime and Windows Media Player) support MPEG-2 playback. MPEG-2 is more commonly found in traditional camcorders that are pricier and higher quality than pocket camcorder models. This is, in part, because MPEG-2 video files are larger in size than other formats and thus not as easy to upload to the Web or send in an email. If you're more interested in viewing high quality, standard definition camcorder footage on a TV, an MPEG-2-based model is a fine choice. Found on most pocket camcorders like the Flip and in many higher-end HD camcorders, MPEG-4/H.264 is actually a very broad family of different formats supporting both standard and high definition video recording. There are several virtues to H.264: it can record very high-quality video yet compress it in such a way so as not to consume too much memory. Camcorder makers use the H.264 if they want to offer a "Web-friendly" video product. A variant of the H.264 format, this is a high definition video file format found on most Canon, Sony, and Panasonic HD camcorders (other manufacturers support it as well). AVCHD camcorders can capture very high-quality video and they can also burn HD video to a standard DVD disc, which can be played back on a Blu-ray disc player. How Do You Know What Format a Camcorder Has? Since this is a fairly technical element in your camcorder, it's typically not advertised all that prominently. Nevertheless, all camcorders will indicate what format they use in the official specifications. If you already own a camcorder and are curious about what type of format it has, check the manual.